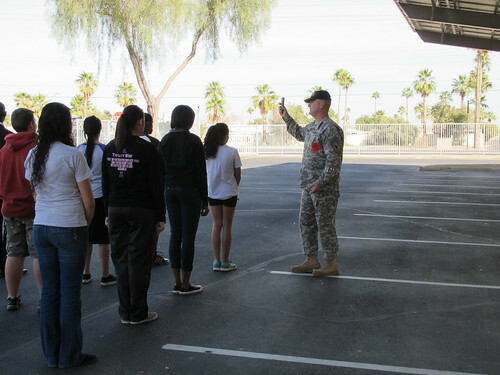 So, you want to be a drill team Instructor? If you are like me, you love to work with students and teach them everything you know so that they can go off and maybe do the same while building on the foundation you’ve given them. There is another side to working with children/young adults: protecting them and even yourself against evil. I’ve never thought about this kind of danger since my motives have been to educate. It was a shock to go through youth protection training and see that not only are children in danger from predatory adults and other children, but I was possibly in danger as well. Guarding the youth I work with and guarding myself have been part of my philosophy ever since I began teaching, but now, I have the tools with which to be more effective at it. The truth is, there is evil in our world and it is possibly right next to you. Evil hides well. For a while. It is then discovered, but only after something terrible has happened. Guard yourself against it, become aware and know the signs of evil against children/young adults. Create an account, take the training and save the certificate. It’s also a good idea to keep your certification up-to-date at least every two years if not annually. Nothing communicated that you know what you are doing like certifications. Almost every field has some sort of certification process and military drill is no exception! For complete information on obtaining certifications, click here. Contact the school where you would like to work. Volunteer in the beginning, if necessary. Many good job begin as volunteer opportunities. Find out as much as possible about the courses that are offered either through the school district or at a community college and make every attempt at finishing the following before the first practice date. Completion of an 8-hour Fundamentals of Coaching course. Completion of a Concussion in Sports course. Completion of an approved CPR course issued by the American Red Cross, The American Heart Association or similar entity. Completion of a 4-hour Sports Medicine or Sports Safety First Aid course issued by the American Red Cross or similar entity. Any other required courses/documentation that the school district may require. Working on your certifications and completing required course work through the summer will show the staff that you mean what you say: you are the best person for the job, bar none!